Really long day today. 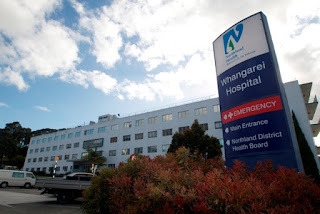 Nan and I came to Whangarei as Cedric (her brother in law) has been sick and in hospital the last month and a bit. Things are getting worse and looks as though he may not make it through the night. We spent most of our day here at the hospital which has actually been really nice. We've been here with Aunty Mina, Steve and Neena. As sad as it is with everything going on it's really great to spend time with family. Cedric didn't seem too bad today though as we all sat up at the hospital with him. He seemed to be his normal self even with his "friends" there that he had with him. Lol. Who knows what will happen over the next few days but time will tell. In the mean time make sure you tell the people you care about how much you love them. Oh and we totally ate KFC at the hospital lol! Soo bad and soo good all at the same time lol. Those poor patients having to smell KFC but after not eating all day we were all hungry.